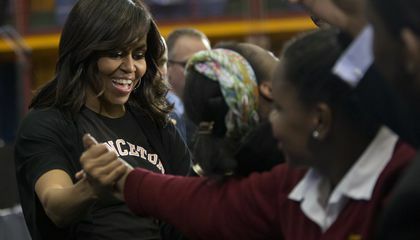 High school seniors on their way to college were praised by U.S. first lady Michelle Obama. With her were also a host of celebrities. They gathered together on April 26. She encouraged them to make the most of their college experiences. She told them to get involved in campus life and ask for help when they need it. "We are so proud of everything you've achieved. And we don't take the struggle for granted," Obama told a roaring crowd of young people. They were at an event in New York City's Harlem. Obama was marking her third and last College Signing Day. It was part of the Reach Higher initiative. She started the initiative to encourage young people to extend their educations past high school. The events were in Detroit and San Antonio the first two years. Obama told the students the goal wasn't just to get into college. The goal was to get a degree. She recounted her experience starting at Princeton University. It is in Princeton, New Jersey. She said she felt out of her depth as a first-generation college attendee. That was until she reached out for support. Shaik Jaman, 17, will be the first generation of his family to go to college. He plans to attend Hunter College this fall. He said he was inspired by Obama's words. incoming college students need encouragement because they need to get more involved with school activities and get involved with campus life. My evidence is "She encouraged them to make the most of their college experiences. She told them to get involved in campus life and ask for help when they need it." I like this article because I'm excited for campus life. Incoming college students need encouragement because they are new students. The incoming students need encouragement because all they're probably going to do is sit in their dorms and play on a phone or other object. The new students need encouragement. 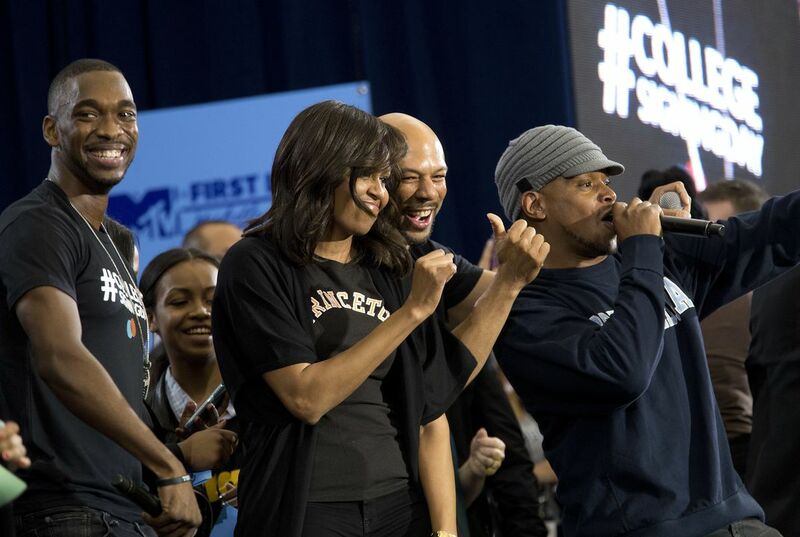 Mrs. Obama and several other celebrities have been encouraging kids to go to college. It is important for many kids to hear that it was not easy for these people, to help encourage them. At College Signing Day they get people excited about their future. This helps them to be motivated and to succeed.